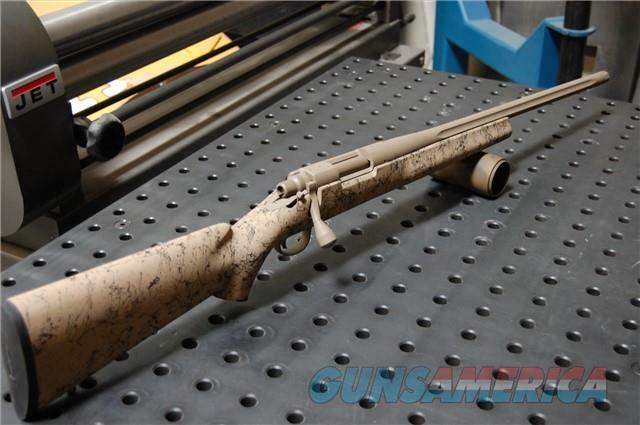 Description: New in box Remington 700 5R Gen 2 .308win with a fluted 1/11.25 twist 24" threaded barrel and an X-Werks Magpul FDE Cerakote finish! The Remington 700 5-R Gen2 sets the benchmark for accuracy and durability. Much like M-24, the barrel is cold hammer forged and features 5-R rifling. The 5R rifling profile increases barrel life expectancy, accuracy and creates less fouling and bullet deformation over time. It has an action and barrel with an X-Werks cerakote Magpul FDE finish, H.S. Precision composite stock, dual front swivel stud system, and a X-Mark Pro adjustable trigger. This model features a 24" threaded barrel chambered in 308/7.62 NATO. Shop online at X-Werks.com and follow X-Werks on Facebook & Instagram for Updates and specials!! Give us a call, stop by our shop, or email us with any questions! We're open M-F 9a-6p, Saturday 10a-2p and you can email or purchase online anytime!